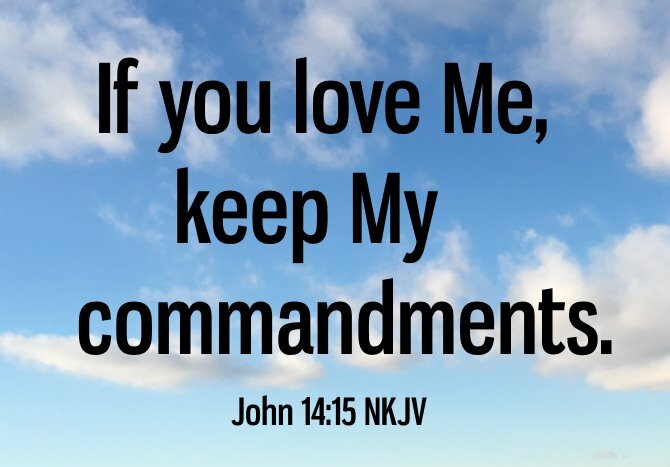 If you love Me, keep My commandments (John 14:15 NKJV). We need to ask ourselves every day, "do we really love Him, do we keep His commandments?" If we ever think we are falling in love, or in love or love someone and these verses don't ring true, then what is happening is something other than love. Maybe infatuation, maybe pride, maybe after a while I will love them, or _________ - if we are truthful we can fill in the blank. The same can be true about falling in love with Jesus. The story of the rich young man told by Jesus (Matthew 19:16-22) is a great example of how to not fall in love with Jesus. The rich young man was sincere when he asked Jesus what he must do to have eternal life (Matthew 19:16). Today, it is not much different when a candidate for salvation wants to know about how do get to heaven. At that point in time they are sincere. Jesus said, Thou shalt do no murder, Thou shalt not commit adultery, Thou shalt not steal, Thou shalt not bear false witness, Honour thy father and thy mother: and, Thou shalt love thy neighbour as thyself (Matthew 19:18,19). The young man saith unto him, All these things have I kept from my youth up: what lack I yet (Matthew 19:20)? If thou wilt be perfect, go and sell that thou hast, and give to the poor, and thou shalt have treasure in heaven: and come and follow me. But when the young man heard that saying, he went away sorrowful: for he had great possessions (Matthew 19:20-22). The rich young man definitely knew the last six commandments, which are horizontal commandments between man and man. 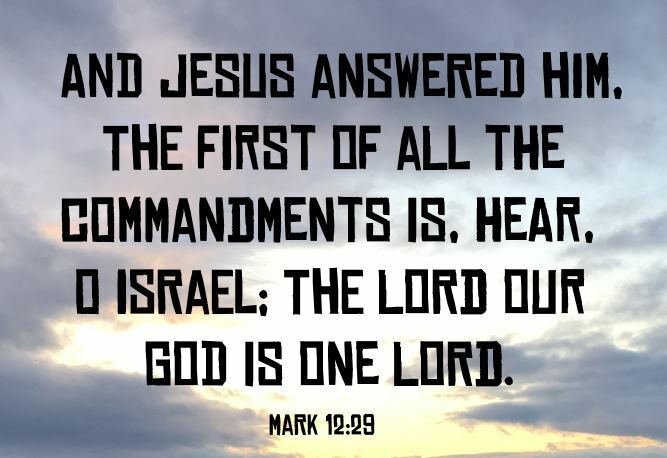 The question is though "did the rich young man know and obey the first four commandments", which are vertical commandments between man and God. When we go back and re-read (Matthew 19:20-22) we have to doubt that the vertical commandments were his priority. We have to believe that he knew them, that he knew the law, much like the Pharisees who knew the law but didn't obey it (Matthew 23:13-36). We shall have no other gods but God himself. We shall not make any idols, nor bow down to it or worship it. We shall not take the name of the Lord our God in vain. We shall remember and keep the Sabbath day holy. He couldn't obey the Shema though because he had another god, he had an idol that he bowed down to and worshiped, that he put before God - his riches. He was willing to give up spending eternity with God to hold onto his riches. That is why falling in love with God cannot be anything but unconditional. It is easy to criticize the rich young man for making the wrong choice for the wrong reason. But as Christians we do this every day of our lives. Really now, what are our "riches" that come before loving Jesus with all our heart, soul and mind (Matthew 22:37)? What about mobile devices? Are they one of our riches that keep us from truly falling in love with Jesus? 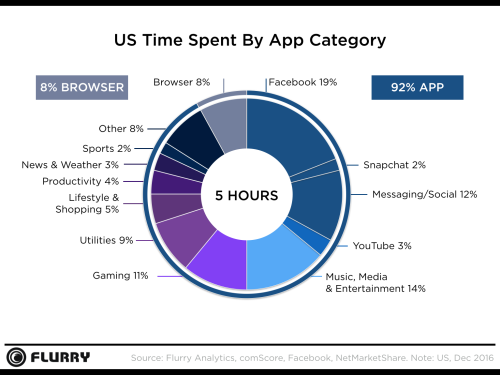 Have a look at the chart below that was developed by Flurry Analytics given on their page U.S. Consumers Time-Spent on Mobile Crosses 5 Hours a Day. If we work or go to school, travel to and from work or school, sleep, prepare and eat three meals per day, get some exercise of some kind, do daily chores and household bookkeeping and spend time with loved ones, we pretty much use up twenty some hours per day. Now if we spend another five hours per day on our mobile devices, twenty-four hours disappear quickly. How can we possibly fall in love with Jesus unless we find time in daily prayer and worship, reading the Bible, attending church when the doors are open and witnessing to the lost? And there is the rub. Just like the rich young man, will we be willing to give up our "riches" , whatever they may be, to truly fall in love with Jesus and obey His commandments, allowing us to be saved and to spend eternity with Him?